A Moriie Wakizashi, But Which Moriie? 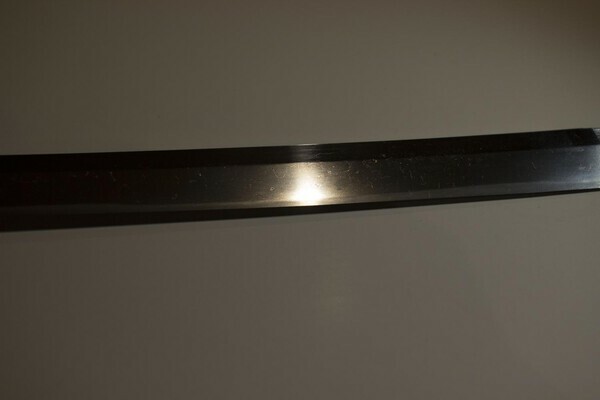 I recently bought this wakizashi on ebay, with a Moriie signature and dated "Muromachi" era. Now I have done some looking myself into Moriie, there were quite a few it seems, ranging from the famous Hatakeda Moriie to standard Muromachi smiths. Can anyone help me identify or give me a better clue as to which generation Moriie this could be? There was a note on the registration card from a previous owner that thought it may be 2nd or 3rd generation Moriie, but at the price I paid I sincerely doubt that as those smiths have very high Fujishiro, Toko Taikan and Hawley ratings. 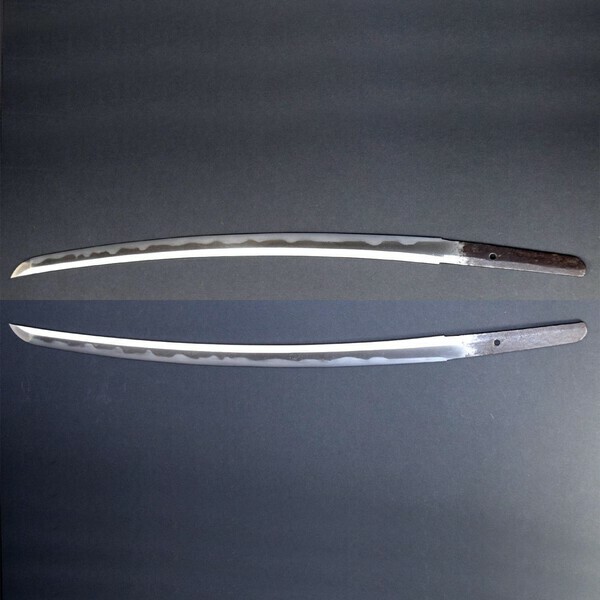 The sword itself is in very good condition, and seems to have been polished quite a few times in its life due to the thin hamon and two small ware. 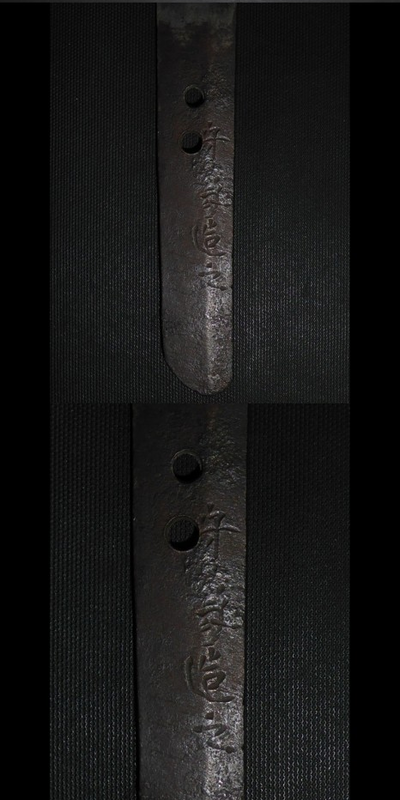 Please find attached images of the sword, with the mei seen on the middle. Hi John, difficult from the pictures, could do with better photos and description of the blade details. Looks to be a Suguha hamon, theres a few Moriie towards the end of the Muromachi period who mainly use that style of hamon. 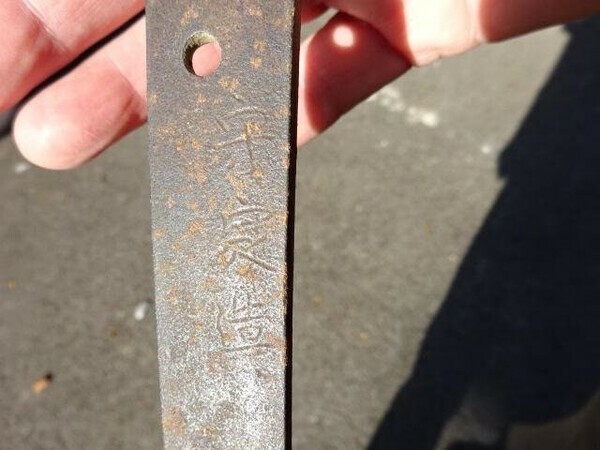 I think your right about Ebay too, I would expect it to be one of the lesser known Moriie, maybe even Shinto (I think there is Shinto), you need to compare the work. Thanks Alex, I'll get some better shots when I can, these were the sellers photos. 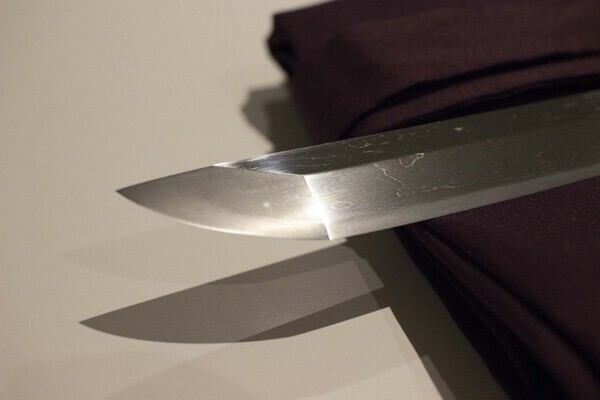 Hada is O-Mokume, hamon suguha and very thin, there is a slight bend in the blade as well, so it has been used on something tough in its lifetime it seems. Two meguki-ana. The blade has certainly been polished a few times, as there are a few openings but the steel is still bright and the last polish was a good one. Overall for the price I paid this is in excellent condition. Hope this helped, thank you. 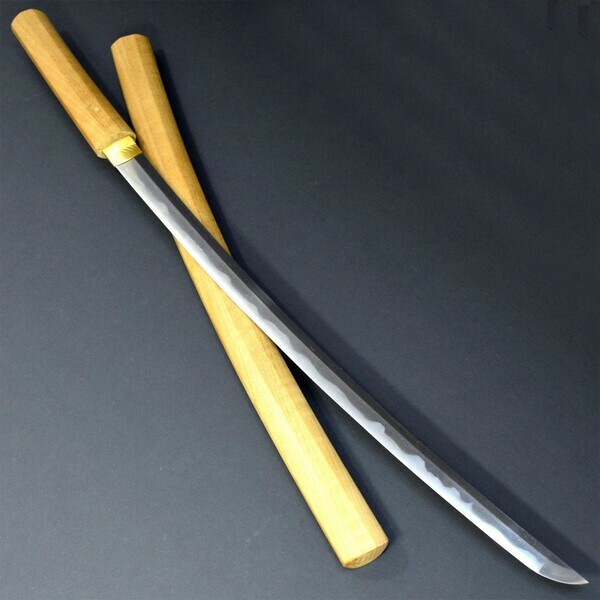 I would be very cautious with a sword with 守家 Moriie signature. At first I would think this as Muromachi period wakizashi with gimei 守家 signature. Yes, I agree, however the mei isn't a match for any of the famous or highly rated Moriie generations that I have found so far. I don't mind either way as the sword itself is quite nice. Hopefully someone can recognize the correct generation or period. Hi John, maybe someone knows better than me, but I cant cant find enough info on the lesser known Moriie to come up with anything of use. Always got to be wary when buying from Ebay, as Jussi points out with the mei. If you find anything out, be good to see. Thanks Alex, looks like you came to the same deadend that I did for the later generations, there really isn't much information around. Well at the end of the day it's a nice sword in good polish for a nominal price, regardless of mei. Hello, please anybody has any new information to the problem ? 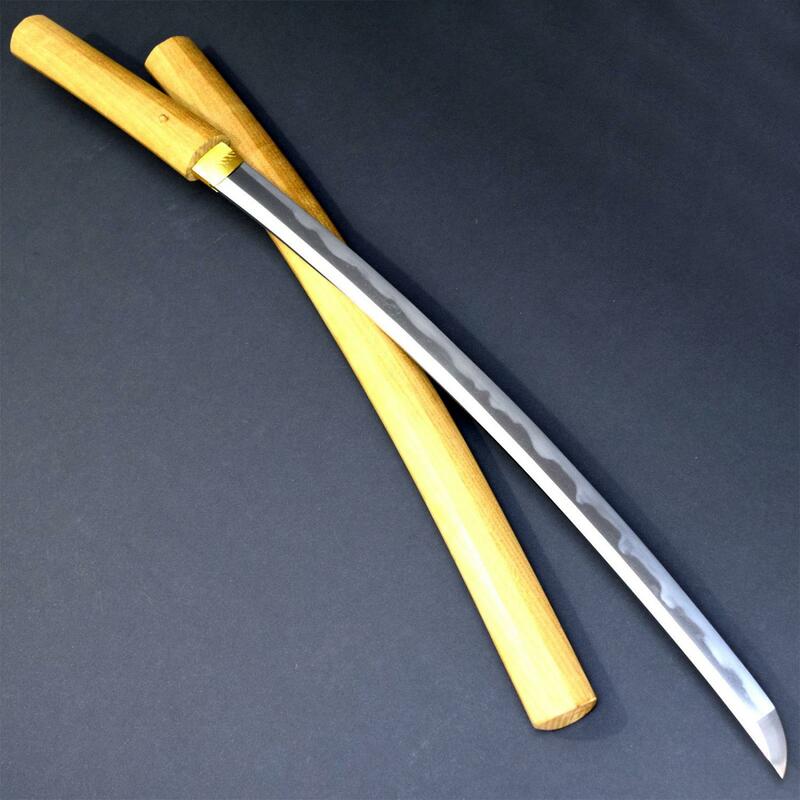 I have similar wakizashi 守家造之 from ebay . 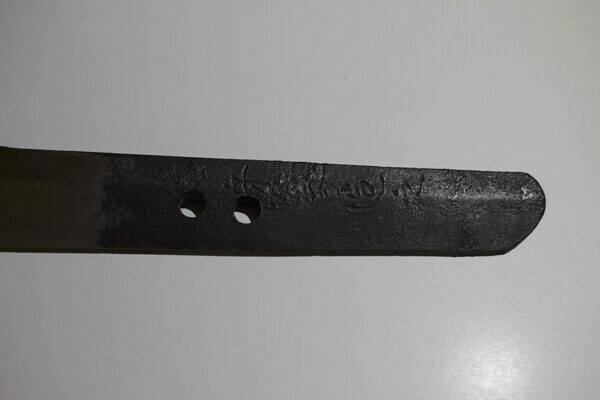 but it is definitely not an original form 13th century. with slight different mei ? because they have suspicious mei or gimei. My impression is that this is Muromachi. I'm adding more pictures for reference. please sign all posts with your first name and an initial, so we may address you politely. Your blade is quite different, I think, and not necessarily from the same smith. That should probably be the other way round (blade length is NAGASA). 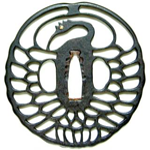 Yakidashi seems to indicate Shinto. Thank you gentlemen your opinion is valued. I'm beginner and I'm learning all the stuff. As far as I know, Hatakeda Moriie is very big name and I was at least correct that this is not the original. 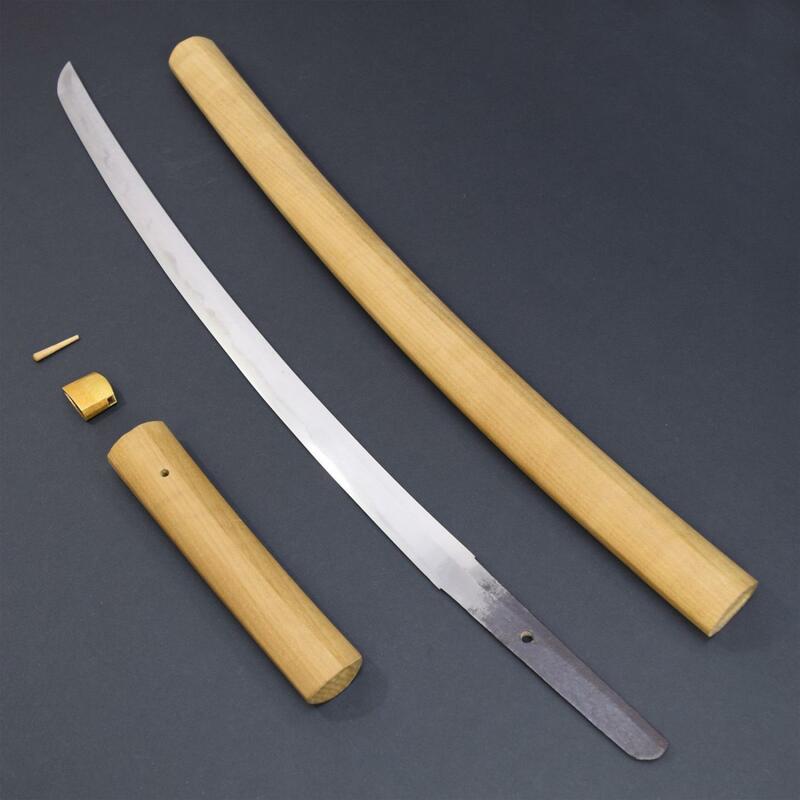 All Moriie wakizashis I have seen in books were mumei tachi o-suriage which is not this case. Firstly it is not mumei and secondly yakidashi is present as Daimyo suggested so it was made intentionally as wakizashi from the beginning. 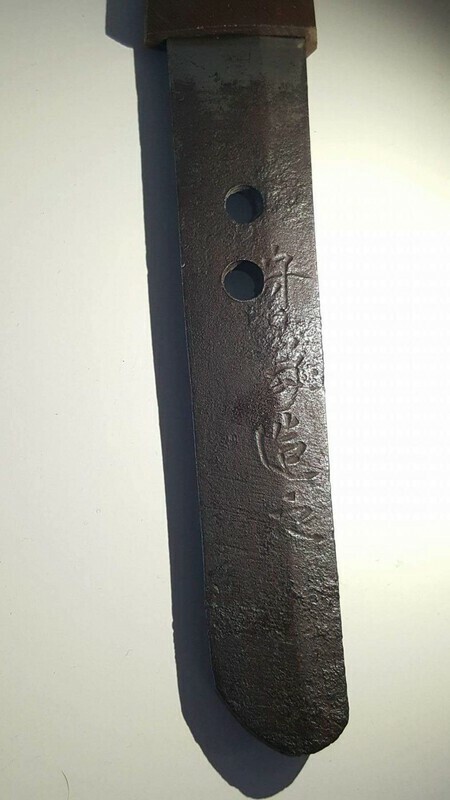 So I'll assume it is gimei from some mysterious swordsmith, probably shinto period. Almost definitely Muromachi, Lubo. 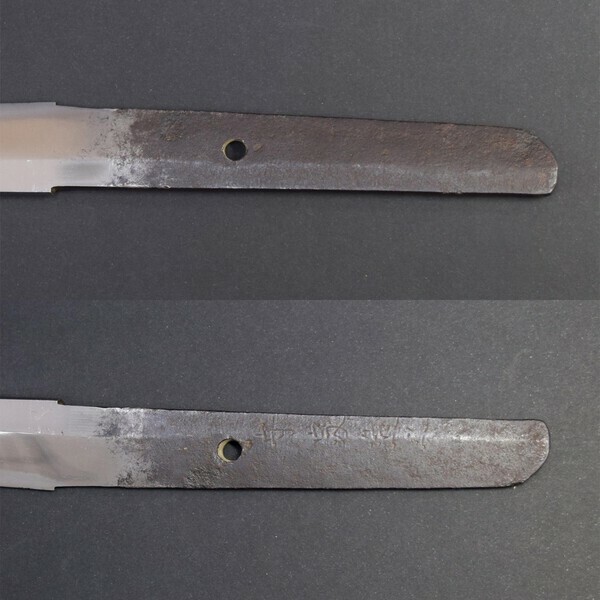 In older blades, the hamon pattern tends to continue into the kissaki. 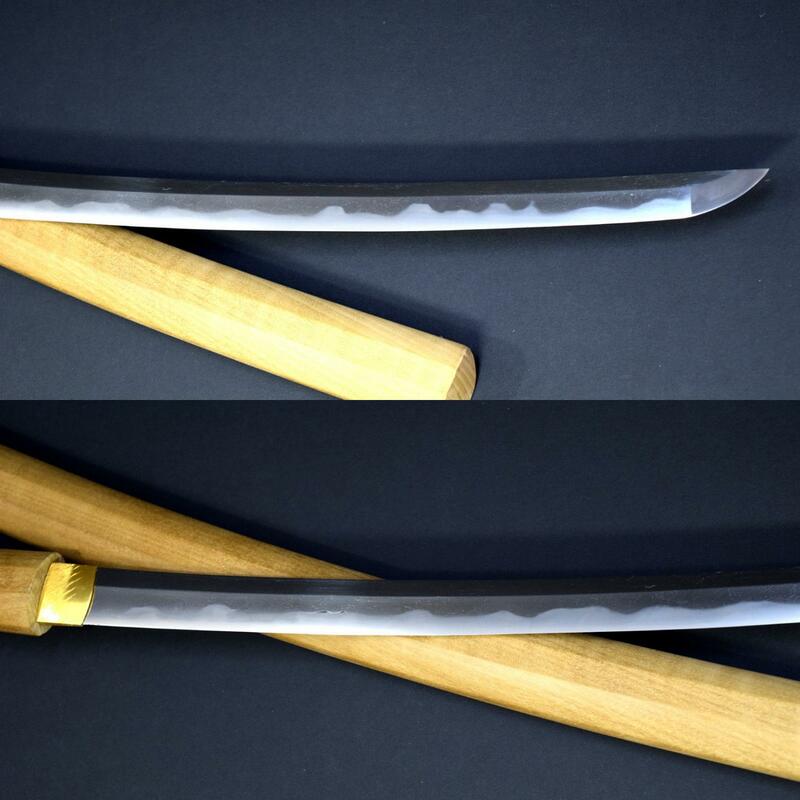 And the ana on the wakizashi look drilled, not chiseled. My conclusions have been that it's either Gimei or from one of the many generations of Moriie in Muromachi/Shinto. I spent more time on the "Mori-ie kore (o) tsukuru" Mei and I have found example of the 3rd nakago. I assume all wakizashis with this Mei are Gimei. Hello, I founded another example. Is the second letter altered on purpose ? Could the original mei be MORISADA (守定), Tenbun (天文, 1532-1555), Bungo – “Taira Morisada” (平守定), “Morisada saku” (守定作), Taira-Takada school ?